Bella's Beauty Spot: Another Luminess Giveaway! Have you seen my results from Luminess Air Brush Makeup? Click HERE for my fabulous review. The Luminess Air Brush Kit is top of the line, and hands down my favorite makeup system. 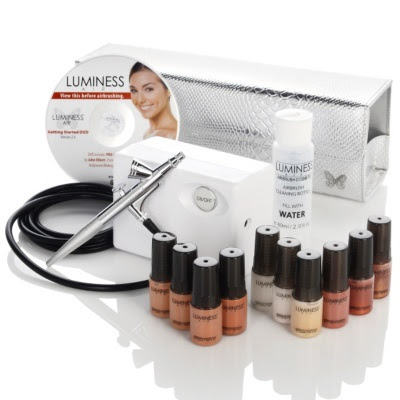 Luminess Air is giving away one of their Air Brush Kits on their blog right now! If you leave a comment on their blog, and your the 100th comment, you will win everything in the above picture, absolutely free ! You can only enter once, but the entry is super easy... Good lucky my beauties! Click HERE to go directly to the Luminess Blog... feel free to let them know who sent you too!